Update September 27, 2017: A new report on Taiwanese site, DigiTimes, claims sources at motherboard makers have told them the upcoming Pinnacle Ridge 12nm Ryzen refresh is going to start as early as February 2018. Ready to get gaming on the AM4 platform? Here’s the best AMD gaming motherboards around. The article says the refresh will kick off with the top-end Pinnacle Ridge chips, the refreshed Ryzen 7 range, and that the new Ryzen 5 and Ryzen 3 parts will follow later on in March. That seems rather early for AMD to bring about the replacements for a processor range that has done rather well for them. The first Zen-based CPU, the octacore Ryzen 7 1800X, only launched in March of this year, so that would put the refresh coming in less than a year later. Something else that concerns us, however, is the idea of the motherboard makers moving to release new X470 and B450 chipsets to go along with the refreshed processors. They will stick to the AM4 socket, but surely the whole idea of maintaining socket compatibility was so youdon’t have to update your motherboard every time AMD release a new processor. What exactly this new 400-series chipset might offer isn’t spoken about in the DigiTimes piece, however. Realistically all you might get from a newer chipset might be a few more PCIe lanes after the Coffee Lake launch ups the mainstream processor lane game. Of course, AMD aren’t going to comment on unreleased products, but we would be surprised to see the Pinnacle Ridge refresh coming so soon, especially as we haven’t even seen the Ryzen Mobile/Raven Ridge APUs yet. Original story, September 26, 2017: It looks like we might be heading to Pinnacle Ridge for our next CPU upgrade from AMD. 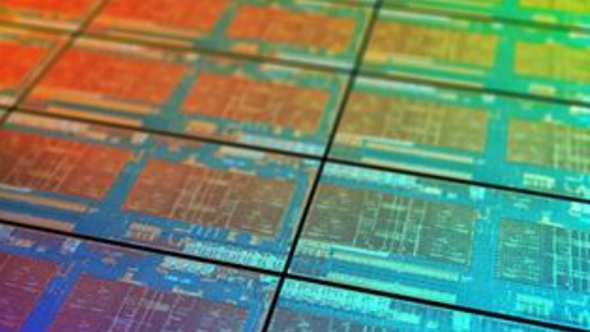 At the Global Foundries tech conference, AMD confirmed plans to shrink their current 14nm process down to a12nm lithography, now expected to arrive in 2018 under the codename Pinnacle Ridge. Global Foundries’ 12nm LP process should offer AMD some much needed extra efficiency with their Zen and Vega architectures, and we are expecting the 12nm refresh to start right at the beginning of 2018. The refreshed component lines shouldn’t be too far down the line if all goes to plan. Slides leaked by Videocardz outline AMD’s CPU and APU roadmap for 2018 and 2019. Pinnacle Ridge occupies the 2018 slot, promising a ‘performance uplift’ compared to the current Summit Ridge chips. Due to the 12nm process improvements, AMD should be able to offer higher clockspeeds and greater efficiency on their next chips. Unfortunately, no Zen 2 cores make an appearance in 2018. AMD’s 7nm Zen 2, referred to within this slide as ‘Matisse’, is expected to arrive sometime in 2019. AMD may finally be dropping the ‘Ridge’ suffix from their codenames, assuming a new naming convention revolving around famous painters for the subsequent Zen architectures. Happily, AMD seem to be keeping to their word with AM4 support lasting until 2020, with Zen 2 supposedly arriving on the AM4 platform in 2019. 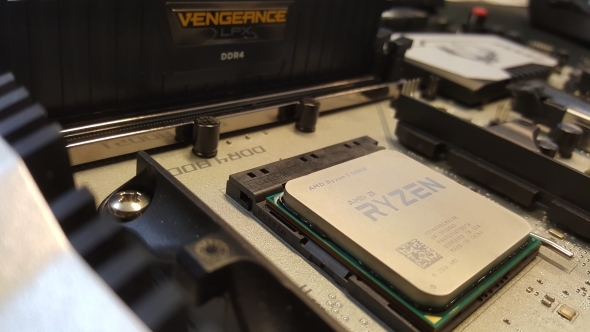 Upgrading a two-year-old Ryzen chip in 2019 to the latest Zen 2 chip, without any motherboard hassle, is certainly an exciting prospect. Also seeing continued support for the AM4 platform will be AMD’s next-gen APUs – Raven Ridge (AKA Ryzen Mobile) is expected in 2018 with the ‘Picasso’ refresh in 2019. 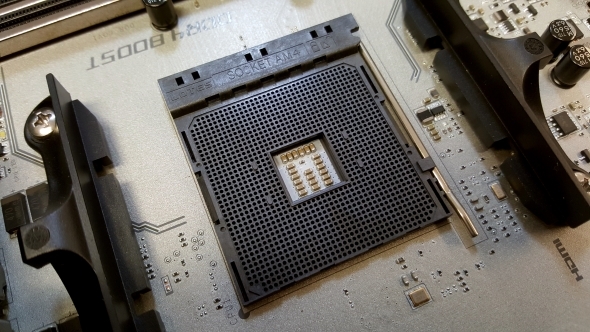 Both will also have support for AMD’s upcoming FP5 notebook socket. Picasso is built on the same architecture as Raven Ridge, although is promising a power/performance uplift, most likely making use of AMD’s 12nm refresh expected with Pinnacle Ridge chips. Pinnacle Ridge has to carry AMD through a possibly turbulent year. With Intel close to launching their first mainstream processors since AMD stepped on their toes with the firstZenarchitecture, and Nvidia maybe closer to launching Volta, AMD will need to deliver big to keep their recent momentum going.